What is ChlorhexiDerm 4% Shampoo? ChlorhexiDerm 4% Shampoo is a full-strength microbial shampoo for mild to severe dermatological conditions in dogs, cats, and horses. 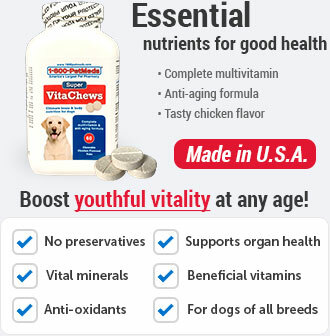 This fast-acting, long-lasting formula is effective against multiple microorganisms, including fungi, yeast, viruses, and bacteria including both gram-positive and gram-negative strains. The deep cleansing and deodorizing action of ChlorhexiDerm 4% Shampoo will remove scales and crusts from your pet's skin and help fight odors. Residual activity continues to reduce numbers of microorganisms with repeated use and helps to prevent recolonization. 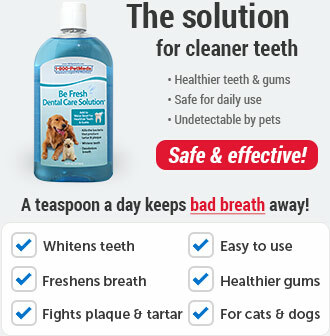 Even though ChlorhexiDerm 4% Shampoo is tough on microorganisms, it's easy on your pet's skin. This special formula includes emollients for skin softening and is pH-balanced to help prevent skin irritation. How does ChlorhexiDerm 4% Shampoo work? 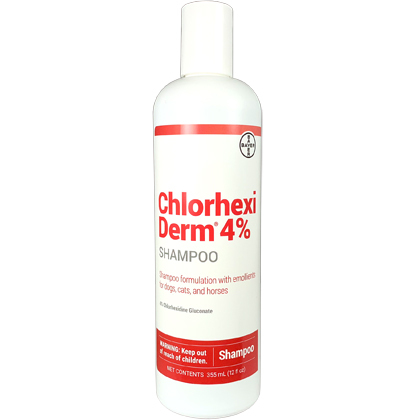 ChlorhexiDerm 4% Shampoo contains the active ingredient Chlorhexidine Gluconate, which is an antimicrobial agent effective against fungi, yeast, viruses, and bacteria including both gram-positive and gram-negative strains. 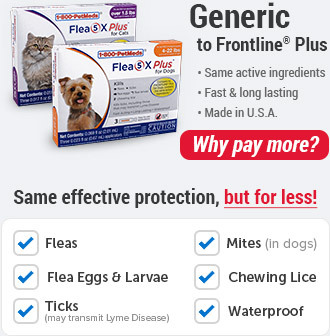 For topical use only on dogs, cats, and horses. Avoid contact with eyes. Not for otic use. 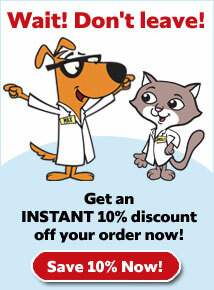 If irritation develops, discontinue use and consult your veterinarian. ChlorhexiDerm 4% Shampoo is effective for mild to severe dermatological conditions where a full-strength antimicrobial, cleansing and deodorizing shampoo may be beneficial. 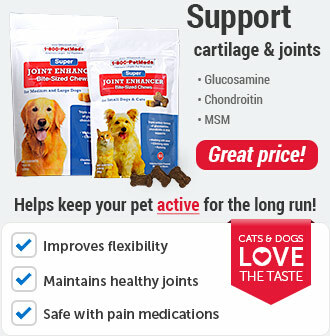 Ideal for pets with skin conditions of fungal, yeast, viral or bacterial origin. Use according to instructions below or as directed by your veterinarian. Be careful to keep shampoo away from your pet's eyes, nose and mouth. Wet your pet's coat thoroughly with water. 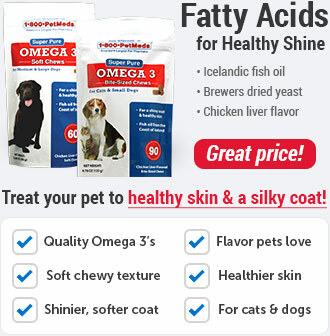 Apply and lather ChlorhexiDerm 4% Shampoo over your pet's entire body, allowing for 5 to 10 minutes of contact time. Rinse completely with water. Repeat if necessary or as directed by your veterinarian.